The first of the 2018 Evening Collection army mounts should be appearing over the horizon almost any day now, and I thought you’d enjoy a closer, non-commerical look and perhaps a bit of background on the line. I’ll assume if you’ve been reading this blog or smoking Petes for most any length of time, then you know Peterson and army mounts have been together almost since the beginning. The Identification Guide in our Peterson book (forthcoming! I promise!) lists over a dozen named army-mount lines dating back to late 1940s. In 2016 a great renaissance of the style began at Peterson, and since then we’ve seen some really beautiful, fresh lines: the Orange Army (2016), Christmas Pipe / “Elf Army 1” (2016), Summertime “Blue & Orange” (2016), Derry Rustic “Killer Bs” (2016), Short Classics (2016), Christmas Pipe / “Elf Army 2” (2017), and will soon see the Summertime “Natural Blast” (2018) and the Christmas Pipe / “Elf Army 3” (2018). “Army” is the new “System.” And maybe at some point Peterson will further its experiments in the acrylic P-Lips and offer an Army P-Lip–something we haven’t seen in the catalog since the vulcanite 1898-1998 P-Lip Commemorative and the first Antique Reproduction quartet of 1996 (the latter of which featured two System reproductions and two P-Lip Army reproductions)–over twenty years ago, now. The Evening Collection is a step above all its recent army-mount siblings, a mid-to-upper grade sterling-mount line with a beautiful matte black finish dress bowl, a marbled greyish-white acrylic fishtail mouthpiece (slightly shortened), and the aluminum P, pressed quite dramatically on the top of the button. If the sterling and the aluminum P weren’t enough to guide collectors, please note the hand-stamped logo on the obverse, and hand-stamped shape number on the reverse. 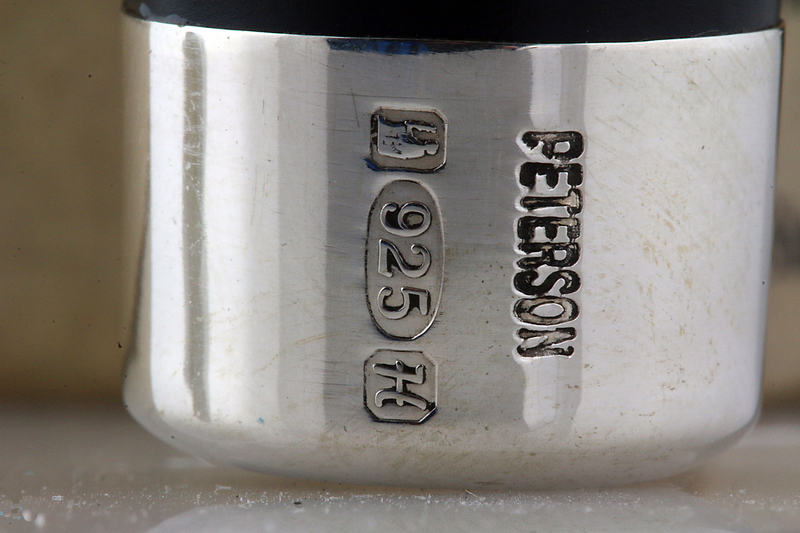 After getting used to the laser-engraving system, it looks like Peterson is reverting to hand-stamping on its mid-to-upper grades. 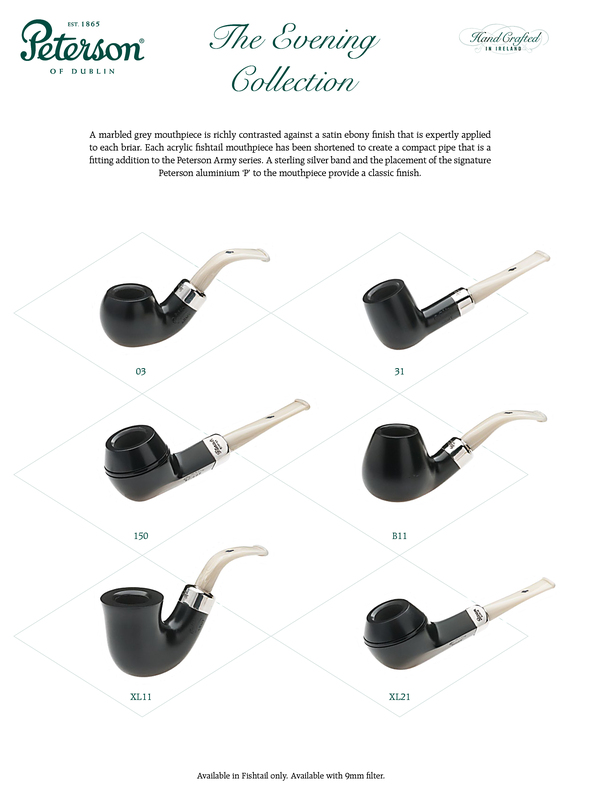 There’s six shapes in the collection, as you can see: a medium and a large bulldog (the 150 and the XL21), the small billiard used for straight Systems (the 31), the classic small 03 bent apple, the B11 brandy “setter,” and the large XL11. It’s going to be available in 9mm or standard, so I’d guess we’ll see it debut in Germany and Europe before reaching US shores. 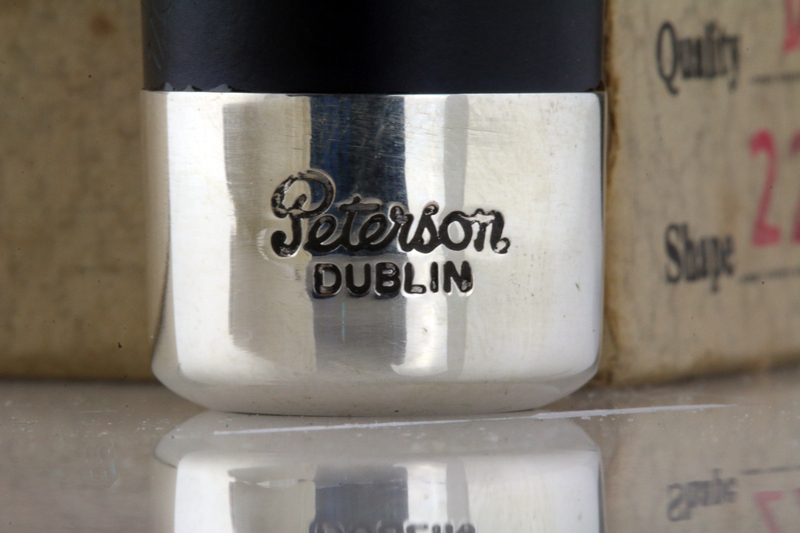 I like the way the sterling work on the ferrules has settled down to the Peterson script over DUBLIN on the top of the band and the hallmarks large and precisely centered on the bottom. These are the first 2018 hallmarks I’ve seen, and I like the crisp articulation. 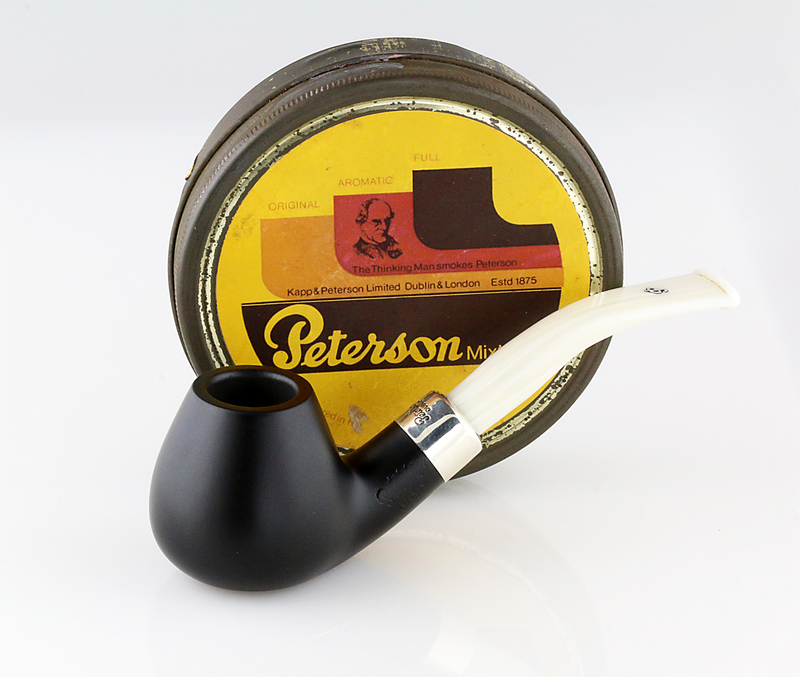 I also like some of the classic shapes Peterson has chosen—the B11 is an old friend and does virginia and va/per proud. The XL11 looks fantastic in its foreshortened stem treatment. And the 03 and its big brother the 02 are about as iconic as you can get in a Pete. My Dad has always been a fan of black dress pipes and companioned a 301 black System for years before dropping it (hot) on the garage floor. It cracked, but never enough to be a bother for him. 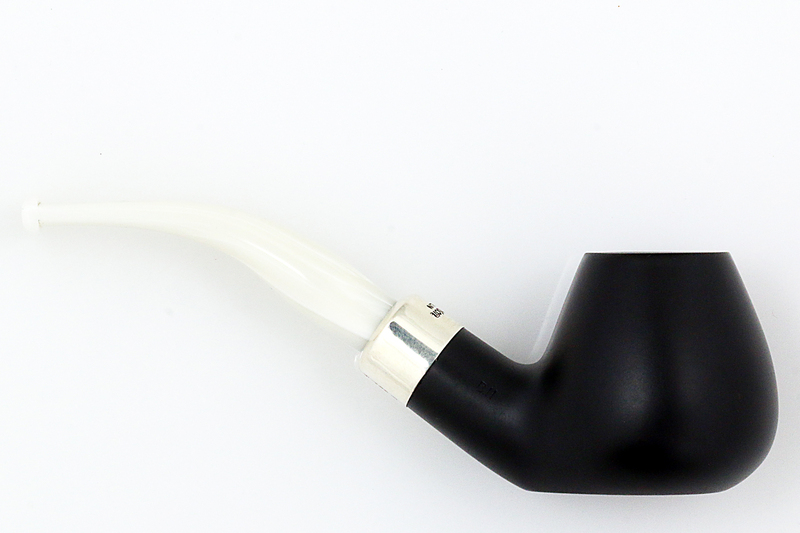 I was about to say I’ve never companioned a black pipe, but that’s not true, as my first non-basket pipe was a Jobey Stromboli, which still occupies a place of honor in my rack. For me, the fishtail Army smoking experience is considerably different from either the System or the Navy (traditional tenon and mortise), but I’ve come to it after 40 years of System and Navy pipes and am not the best guide to how to get the most out of these pipes. P-Lip Armies, yes. But the fishtail are another kettle: I’ve got a trio at present that I’m becoming friends with—a Derry Rustic XL339, an Arklow XL339, and an IRISH MADE 68—and so far, they’ve responded best to cooler-temperature tobaccos than the hotter, sweeter virginias. 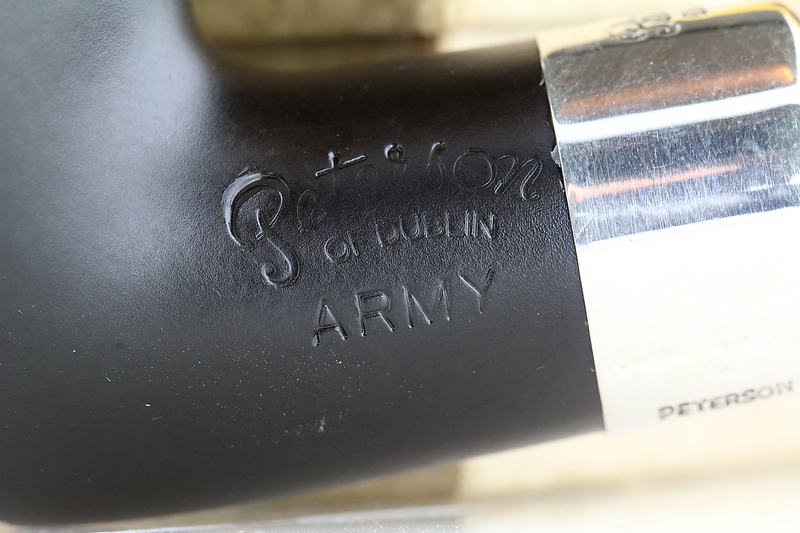 If there are any stout Army fans reading this, give us a shout out and pass on any wisdom about the smoking and care of these beautiful pipes. I hope these arrive in the States soon!. I like them, especially the 31 shape. Pretty quick, I’d guess, Tom, although some of these smaller lines are late in coming. Still seeing some of last year’s lines, like the Clontarf, just eddying in and out here and there. It’s unfortunate, isn’t it? Even unprecedented. Mark, I’m researching evening (aka dress, ebony, dinner, etc.) pipes for a couple of blogs of my own about two pipes I recently dressed up in black. Trying to find the origin of this particular finish, with all the different names, is driving me crazy. If you could contact me at rakntur@yahoo.com, I have some specific questions for you. 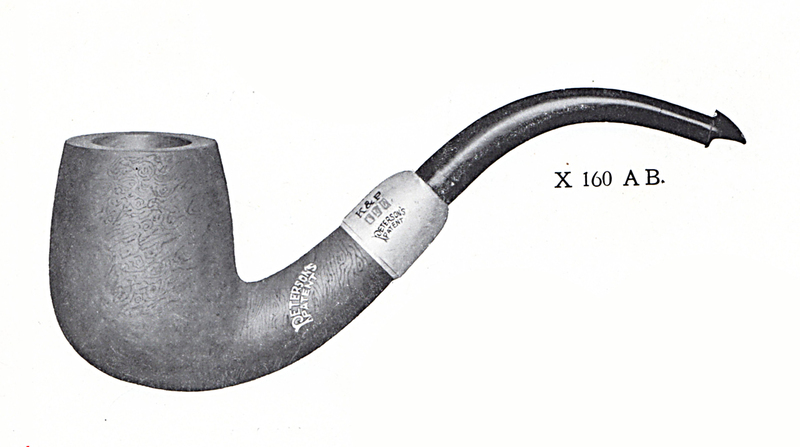 For example, is the 1906 Army Mount pipe from the catalog you show above a dinner pipe? If so, it would be the earliest example I’ve located so far. BTW, I’m a big fan of using both wet-micro mesh pads followed by dry, and to keep the pads from giving up the ghost too fast I use separate, dedicated sets. Thanks for another great post!